Year’s much awaited Telugu movie Duvvada Jagannadham aka DJ is heading strongly at box office across South India as well as overseas and all set to enter in 100 crore club soon globally. 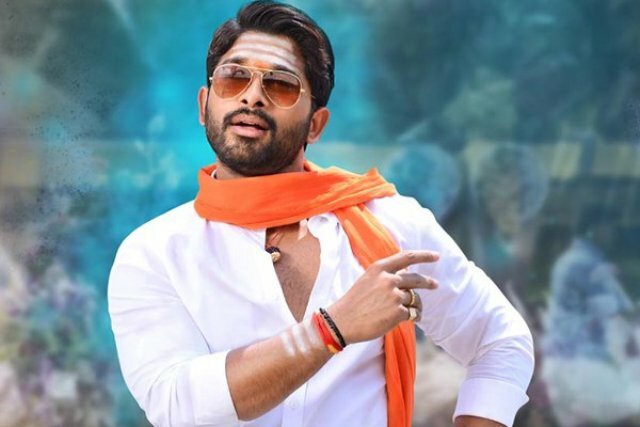 Superstar Allu Arjun starrer this action comedy was released this Friday opposite to Salman Khan’s highly awaited Tubelight, and reported comparatively better performance than it. Duvvada Jagannadham is the 25th movie of Arjun and was released with enormous buzz among his fans as well as Telugu audience. As expected it is receiving overwhelmed response from viewers, also most of the critics have reacted in it’s favor. Due to which it gained good word of mouth. In the opening weekend, Harish Shankar’s directorial recorded excellent occupancy in Andhra Pradesh – Telangana and did the business of 35.35 crores nett., that included 18.40 crores of Friday, 8.05 crores of Saturday and 8.90 crores of Sunday from around 1000 screens. After an impressive weekend, Duvvada Jagannadham remained strong on Monday as well due to Eid holiday and minted the amount of 6 crores. Then on Tuesday, with usual drop it managed to collect 4.75 crores across Telugu states. On the next day i.e. Wednesday with further dip, Duvvada Jagannadham estimated to garner the amount of 4.25 crores and raise it’s 6 days total collection to 50.35 crores at AP/T box office. From international market too, the movie is getting quite good response and likely to gross the amount of around 95 crores at worldwide box office in 6 days of release.